Walter “Clyde” Orange: What can the people look forward to? A good time [both laugh]. A real good time, because we get the people involved in what we’re doing. Of course we bring all of our hit songs – you know, “Three Times A Lady”, “Still”, and end it all with “Brick House”. We entertain the people. We bring the people into what we are doing. It’s not one of those that you sit up and you stare and maybe want to do a handclap. We’re going to get you involved. And before the night is over, we guarantee that everybody’s going to know one another in that room. You’re going to be connected. The people are going to be connected, and they’re going to walk out scratching their heads, “What just happened? I’ve never seen you before.” That’s Commodore Country for you. JM: Sounds great! I’ve been enjoying listening to your early albums. What was the vision of the band at the beginning? What were you guys going for? WCO: When we first started, we wanted to be like The Beatles. How those four guys – how they made it, what they were doing, what was their concept. So we began by dressing alike – uniforms is what we called it. We always dressed alike. We had that unity theme about us. 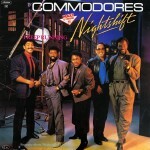 Today, we’ve kind of veered away – it’s not so much everyone has to look alike, but it’s a theme when you see The Commodores. We still have a Commodore theme about us. And the type of music that we chose to play there at first – The Beatles, The Rolling Stones – that’s the kind of music that we were doing. We did some artists like James Brown, we did Wilson Pickett and a host of other black artists. But basically we were looking at how do you stay together forever. Those songs that people can remember you by, that they can attach to you, that they will never forget you. And in scratching our heads and wondering, hoping, and wishing, we came up with “Three Times A Lady”, with “Still”, with “Easy”, with “Too Hot ta Trot” that was in a movie, and with “Brick House”, that just playing around one day I started writing the words down and couldn’t wait ’til I got to a tape recorder to put the idea down so I would not forget the rhythm that I had, starting with the little drum thing that I created – rat tat ta ta ta tat tat, tum t-t-t-tum tum tum… It was all magic. Now, was it easy? No. It was not easy, because coming up we played everyone else’s music. We didn’t have to think about how to create, to play rock songs that we were doing. When it was time for us to create, now you have been signed by a company Motown, now you’ve got to create your own music. We were all scratching our heads, “Huh? Create what?” And that was a chore for us until we got into the rhythm of how to do it – a lot of time and a lot of effort. But we can look back and say it all paid off. Thank goodness for James Carmichael, who produced us. 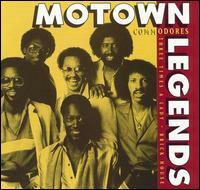 James Carmichael from Motown was a music arranger, and we didn’t know really how to put our music together. We knew how to copy someone else’s music and make it sound just like them, or even better. That is really what caught the eye of Suzanne de Passe at Motown. It caught to the eye to where she even suggested – and it worked – to put us with The Jackson 5, when Michael was 9, 10 years old. And we toured with them for two or three years, with the Jackson 5. We held our own ground then, because of the music that we chose. We didn’t have our own music, we were just playing everyone else’s music. But we had a different sound, our concept was different. We danced, and we had routines together at that time. All of us. Even though I was the drummer, I had a routine on my drums in the back [laughs]. But it all worked. It was a unified effort, and that became our trademark. 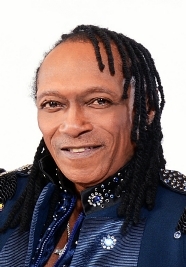 Once you have been exposed to The Commodores, you refuse to accept anything less than the best [JM laughs]. See, like you just smiled there. You have those people every night, and they go, “Wow, they’re not lying.” A lot of people would say, “Y’all are gonna make it. Y’all are gonna get a record deal.” And thank The Lord, we got that record deal and never looked back. JM: You mentioned Motown, and this was a little after the era that people usually think of when they think of Motown. What was your experience like with them at that time? 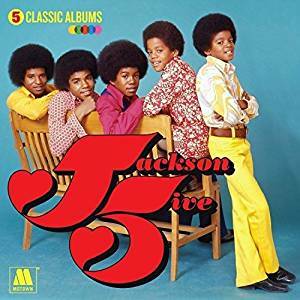 WCO: Well, our experience [laughs], it was a little bit rough going, because outside of The Jackson 5, and this is when Michael was 9 or 10 years old, they didn’t have another black group that was self-contained, that was playing and singing. All of their artists were like The Supremes and The Four Tops and The Temptations, that had bands behind them. They didn’t know exactly how to handle us, what to do with us. But I’ll say it again, thanks to Suzanne de Passe – and you see all of her productions on television today – she gave us a chance. She knew our manager Benny Ashburn, who was out in New York City. She gave us that shot in the arm that we needed. Benny had many talks with her, and just said, “Give them a shot.” [We said] we play our own music, we create, and we’re going to learn to write songs. We’re going to start doing it collectively. And she gave us that shot in the arm. “OK guys, I want to hear what you’re doing.” And today, we can look back and say “Praise The Lord, it all worked.” Because it was a team effort. If I brought a song in, or I brought ideas in about a different song, each individual got that help. I pitched in and did what I was supposed to do. If you needed some words, I like writing lyrics. I really wasn’t that good at it, but the more you do it the better you get. I gave you those lyrics. I didn’t want a piece of your song. It enlightened me to be the best that I could be. Share with others. This was a self-contained group. We share, and we all would be blessed in the end. And here we are today, truly. So it’s camaraderie. All of this that I’m saying is all camaraderie. Working together, and we work together today, and our musicians that have been with us for um-um-um-umpteen years. We call them the Mean Machine. We are all for one and one for all, like the Three Musketeers [laughs]. That is the way we look out for each other. We make sure that we cover each other’s back. That is why we’re still together today. JM: Are there any stories from touring with The Jackson 5 that you’re willing to share? WCO: Well, touring with The Jackson 5, we learned a lot. We learned what stardom really is. We didn’t understand it at first. Those guys – of course Michael was just 9, 10, 11 years old – play a lot. I’m talking about play, I’m not talking about playing music. We were 5, 6, 7 years older than they were, pretty much, and we didn’t like to play. But we got into the rhythm. Michael would walk up behind you and thump you in the head, “Poom!” “What you doing…? !” [laughs] Amazing. But that is what made us click. 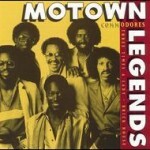 Now, I’ll share with you – the company, we were both with the same company Motown, they tried to keep us apart. That was impossible [laughs], because they liked to play, and so did we. That is what made us click. We ended up touring two or three years with them. And it was an experience, because we saw the high-hype professional side of how they did things, and how they were touring. And it all made sense to us. We kind of regrouped some things that we were doing to make it all work. Suzanne de Passe said, “I like that.” She knew everything was alright. She was in charge of pretty much everything that we were doing out there on the road. Even if she wasn’t there much of the time, she was in charge. Today it does my heart really good when I see a production on television and it says “Suzanne de Passe”. Woo-hoo! Yeah, Suzanne! 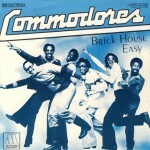 JM: The song “Brick House” turns 40 this year. For the record, can you clear up what exactly you mean be “She’s a brick house”? WCO: OK, you know what – I’ll say it this way. That title “Brick House” is a godsend. When “Brick House” came out in ’77 or ’78, this is how we created a lot of our music. We just came in with the rhythm track. If it had a good beat to it, then it was going to be on the album. But nothing would make that album that was just an instrumental. No, it had to have words, lyrics to it. So James Carmichael, who was our producer, he said, “One of those groups out there, The Ohio Players, they have this song called ‘Fire’.” We said, “Yeah.” He said, “You need a song just like that.” “Like that?” He said, “Yeah, but it’s got to be different. You need one of those songs that’s going to capture everybody’s attention, just like that song ‘Fire’.” So we went in rehearsal, we went in rehearsal, and we came up with ‘Dum-da-dum-dum dum da-dum-dum”. Ron LaPread came up with that – that was the bass player. He came up with that line, and James Carmichael said, “Yeah, yeah. Brother Clyde, put a thing to that. Put a thing to that!” OK, so we put the rhythm track that you hear on the song today, on the radio today, what it turned out to be today, we put that together. So, this is how the story goes. One day, I asked the assistant engineer… her name is Jane Clark, she worked under the head engineer which was Cal Harris. She was like a hippie, right? She would assist Cal Harris in the recording. So I asked her one night in the studio, “Jane, you know the song ‘rat tat ta ta ta tat tat’?” She said, “Yeah.” I said, “I’d like to put some words to that, that ‘Matchbox’ song.” She said, “Well, what time you want to come in?” I said, “Well, everybody else gets here about six o’clock. I’d like to come in maybe like 3:00, 2:00.” She said, “The studio is open, you can come in any time. I’ll meet you here.” So we came in at 2:00 that afternoon, and I knew what I was going to sing. I had made it up. And I went in, and I started laying those vocals. At the very end, when I had finished the last line, James Carmichael walked in. He said, “Brother Clyde, I heard that.” We called him Reverend, because he dressed [laughs] like a pastor, OK? Everyday. No tie or any of that, but we called him Rev. We all had names for each other. I said, “Alright, Rev.” He said, “OK, Brother Cylde, continue. You’ve got something going there.” So I laid the song out, and he said, “Now, what you do is for some of these vocal parts, I want you to double yourself, make it thick. Like ‘brick house’. Do that, and a few other lines.” I did exactly what he said, because I was just nervous at the time. Being a drummer and then a singer, the whole nine yards. I did it, and at the end of it he said, “OK, Brother Clyde, come out of the booth. Come into the control room and let’s listen to this.” If I had a stack of pencils in my hand, I would’ve been able to break them, I was so uptight. I was just afraid of those mic’s. Not playing the drums, but when it came to singing. He said, “OK, Sister Jane, let’s hear that back. Let’s hear that song.” And at the end of it he looked at me, and he said, “Brother Clyde”. I said [sheepishly] “Yeah, Rev?” He said, “I think you’ve got yourself one.” I said, “Really?” He said, “I think this is going to be a super hit for you.” And thank The Lord, that is how it all came into existence, and we had a super hit. We still have a super hit today, “Brick House”. JM: I also want to ask you about “Nightshift”, which you wrote. What’s the story behind that song? I know it’s a tribute to Marvin Gaye, but how did that song come together? 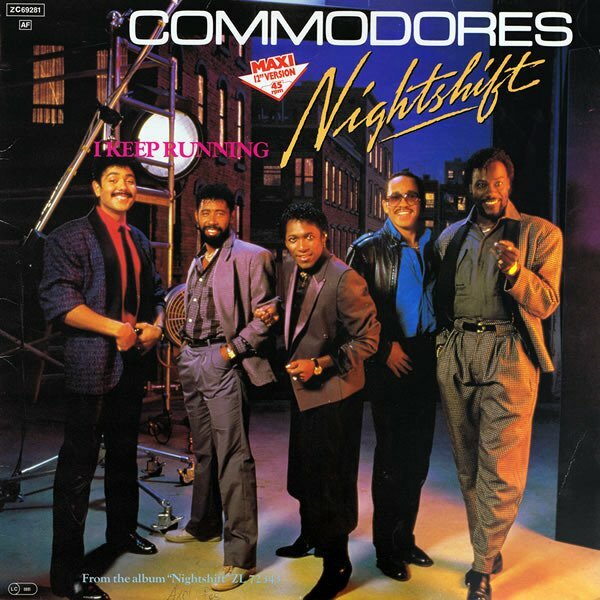 WCO: For the song “Nightshift”, the original producer James Carmichael was no longer with us. So we were on the search for another producer, and this guy named Dennis Lambert came in the studio, as far as I remember, he came into the studio and he was listening to us and kind of bobbing his head. We asked who he was, and he said “I’m a producer. I’ve produced some other artists here at Motown.” So we talked a little bit, and he said, “I really would like to work with you guys.” “Well, OK, let’s see what you’ve got.” He said, “No, I want to see what you’ve got.” So I chose to work with Dennis Lambert with a couple of songs. The one “Nightshift” about Marvin Gaye – Marvin Gaye had passed away, and it was just that thing in the air and I wanted to do a tribute kind of a song. I took it to Dennis, and Dennis said, “Cylde, I think that’s a great idea.” I said, “You want to work with me?” Sure enough, in the studio with Jane Clark again, she was pressing the buttons, and you know when it’s going right because she’s bobbing her head as the engineer. She’d give you a frown if you had to do a line over, you need to do it ’til you get it right. That’s the way we recorded all of our songs. We did it until we got it right. And afterwards, I came in and Dennis Lambert said, “Clyde”, and I said, “Yes, Mr. Lambert”. He said, “Please stop that Mr. Lambert stuff. Call me Dennis, OK?” I said, “OK, Dennis.” We listened to it, and he said, “We’ve got something here. We need to clean up a line here and a line there, just double it. Make it a little bit thicker.” We needed a support line singing the same phrasing and the same melody on a few lines. And that’s what I did. Afterwards, I was on my way back – at that time I was living in Tuskegee, Alabama, and before I got home – this is unbelievable – before I got home, I landed in Montgomery, Alabama, 30 miles away from Tuskegee, I turned on the radio and there was [sings] “Marvin, he was a friend of mine / and he could sing a song / his heart in every line”. I said, “Wow! They must’ve released the song already!” And that was nominated for our very first Grammy, which we actually won. That was “Nightshift”. Unbelievable, thank The Lord for it. That put us back on the map, that we could make it, and we made it. WCO: It’s four words: hang on in there. I know that it has changed, that the industry has changed now from 45 years ago. The industry has definitely changed now. It’s who you know, for those who are in the business, those who know people in the business and the whole nine yards. And it was really pretty much that way when we were first coming up. But you’ve got to hang on in there. Write your own music. Write your own songs, which now many of the artists are doing. Write your own songs. Take control of your destiny. Own yourself – don’t let someone else own you, telling you what to do. Oh yes, we all need direction. We need that. But stay away from the drugs, do your thing, and be creative, and you’ll be OK. And don’t let success go to your head. I’ll say it again – do not let success go to your head. Because if you do, you’re through. You’re out of it. JM: Lionel Richie was part of the band, but he hasn’t been for decades now. What was it like working with him, when he was part of the band? WCO: Well, we were like the Three Musketeers, even though there were six of us in the group. One for all and all for one. Because he was under the gun, just like we were under the gun. It was the six of us – Lionel Richie, Ron LaPread, Thomas McClary, Milan Williams, myself Walter Orange, and William King. There’s two of us left now – William King and Walter Orange. And we have J.D. Nicholas, who is an English chap. 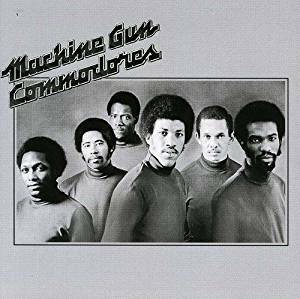 We have managed to carry this thing, and become what people expect from The Commodores when there were six, from the three of us. We take it to the stage. We keep the same principles that we had back then, because those principles work. First of all, we love what we do. We love working with each other. We like it, we like being creative. People ask all the time, “When are you guys going to come out with another record?” I don’t want to say those days are over – maybe so, maybe not. 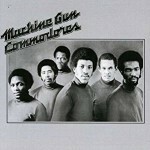 But today people want to hear those songs that made The Commodores who we were then and who we are today. And that is what we give them when we are in concert. We give them every last one of those songs. That 75 minutes of the 90 minute show, we jam them in there and people go wild. “You sound just like the record.” Yes, we do, because we created them. Even though there are three members that are not there. We have J.D. Nicholas singing two or three of those songs that Lionel sang, and I do the rest of them. Because I was there, I know how the story goes. I know how the song was created. I know the nuances of what made that song. And we deliver, in the vocals, in the backing vocals, the whole nine yards. We have five musicians behind us – they play, and they sing as well, all those backing vocals. So it’s just like seeing The Commodores 25, 30 years ago. Same identical thing. Because we love what we do. We respect what we do. We honor what we do. We give all praises and thanks to God Almighty for keeping us here, helping us and keeping us together doing what we love to do.